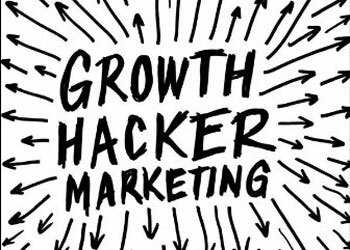 What is Growth Hacker Marketing and is it the Future of Marketing? I am always and open to learning about new ways of marketing and business building. I recently became aware of a new approach to marketing called “Growth Hacking”. The name intrigued me and I decided to dig deeper to find what it is and how it was different from traditional marketing. I also wanted understand what brands had done it well and what can be learned from this approach. Most marketers that I spoke to were not familiar with the term. In his book “Growth Hacker Marketing”, Ryan Holiday states that Growth Hacking is rewriting the rules of marketing. He offers examples of companies that barely existed a few years ago such as Dropbox, Zynga, Pinterest, Instagram and Airbnb. These brands were built using the marketing principles of Growth Hacking. In the absence of a big marketing budgets, startups used growth hacking to build their company. According to Holiday, “a growth hacker doesn’t see marketing as something one does but as something one builds into the product itself”‘ . Growth Hacking is a mindset. A growth hacker is someone who has thrown out the playbook of traditional marketing and replaced it with only what is testable, trackable and scalable. Their tools are e-mails, pay-per-click-ads and blogs instead of commercials and publicity. Growth Hacking is a mindset as opposed to a specific toolkit. Growth Hackers are marketers with technical skills who understand the principles of direct marketing, testing and offer optimization. Growth Hackers are on a constant quest to get more customers for their product. Their ultimate goal is to achieve product marketing fit through lean business practices and ongoing testing and optimization. They run experiments utilizing A/B Tests, Landing Page Optimization and Predictive Models. Everything they do is scrutinized by its potential impact on scalable growth. Once product marketing fit is achieved businesses will grow because their product or service provides a unique solution to their target audience. Will Growth Hacker Marketing go Mainstream?